CF-Auto-Root Gains Note 4 and S5 Prime Support! 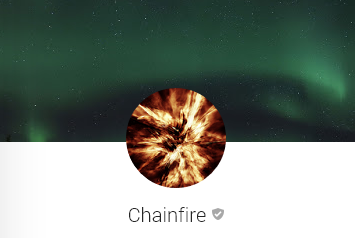 We’ve talked quite a bit about CF-Auto-Root by XDA Senior Recognized Developer Chainfire in the past–all with good reason. For the few who don’t know, CF-Auto-Root is essentially the easiest and most efficient way for new users to root their devices while keeping them as close to stock as possible. Essentially everything is automated, and once all is said and done, you end up with a practically stock device, but with the SuperSU binary and APK installed. Not too long ago, we saw CF-Auto-Root appear for the Samsung Galaxy S 5 before the device was even publicly available. Now, CF-Auto-Root has made its way to another variant of the Galaxy S5, the significantly higher resolution S5 Prime. Along for the ride, we also have several Asian variants of the Samsung Galaxy Note 4, with many more slated to be added as soon as Chainfire receives their stock firmwares. You can learn more and get started with CF-Auto-Root on your own Galaxy S 5 or Note 4 by visiting the threads below. These additions, along with previous updates made a couple of weeks ago to enable CF-Auto-Root on other devices to work with new firmware releases, encompass well over 100 changes made to CF-Auto-Root as a whole. More information can be found in the CF-Auto-Root Updates post.